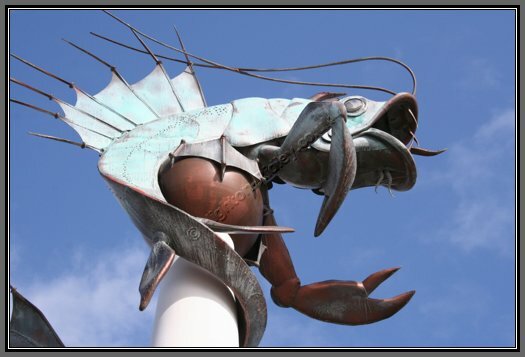 The Barbican Prawn sculpture, tail wrapped around its pillar. Bright sunlight glints off the metal scales and casts interesting shadows. The blue sky, with wispy white clouds sets off the verdigris and bronzes of this piece of urabn art on Plymouth's historic Barbican.